What is the Tailored Collection? 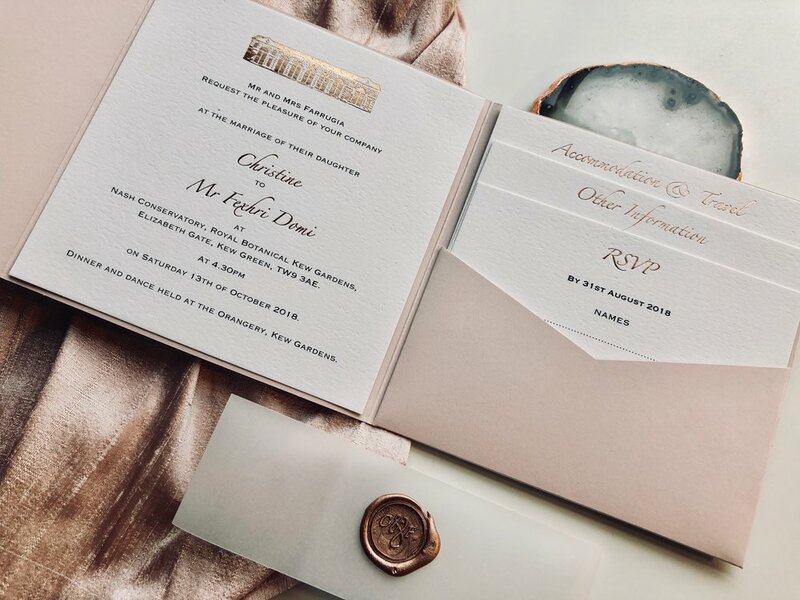 I recently had the pleasure of designing and creating some bespoke invitations for a couple getting married at the stunning Kew Gardens. 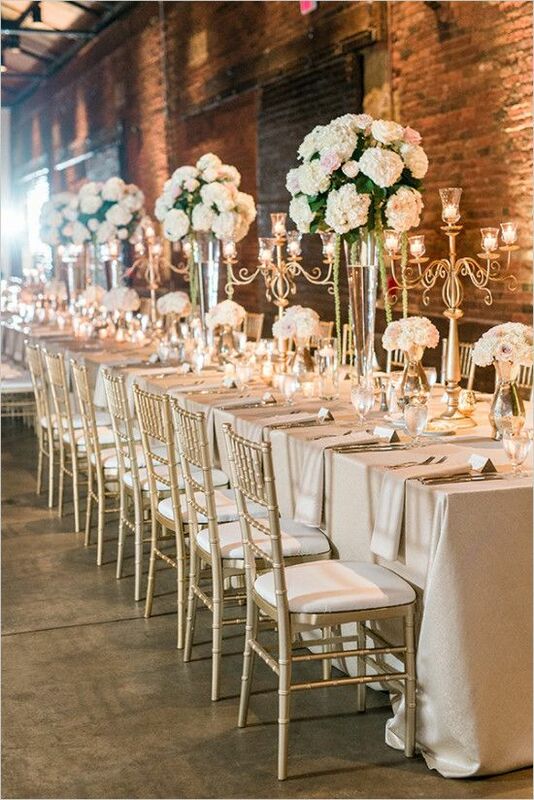 My clients wanted their invitations to reflect the elegance, sophistication and wanders of this incredible venue. 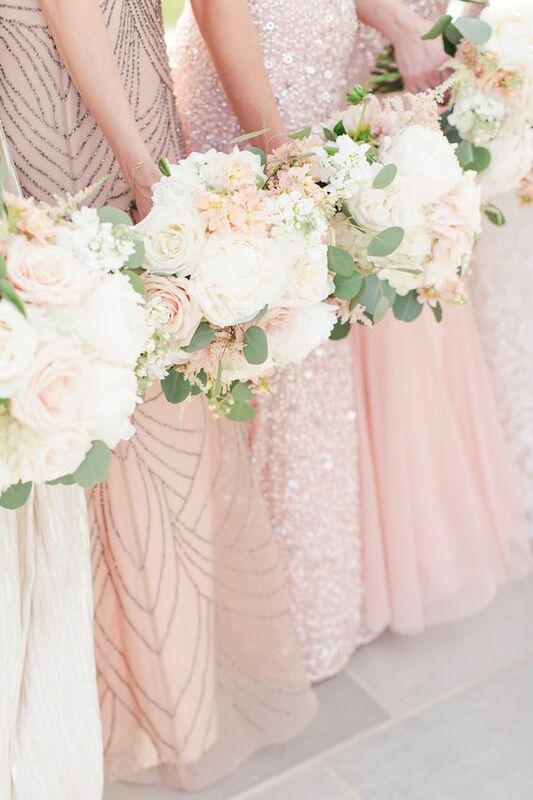 Their theme was blush pink, ivory and rose gold. There were quite a few stages to this design process, all of which were very unique to the couple. 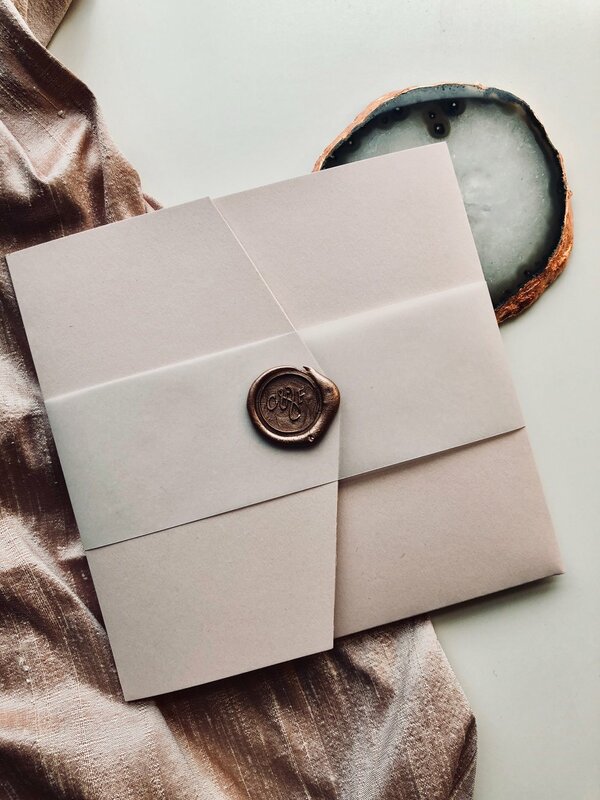 As you will see in the pictures below, we created a monogram of their initials which was wax stamped in a rose gold, rich wax on luxury vellum belly bands. 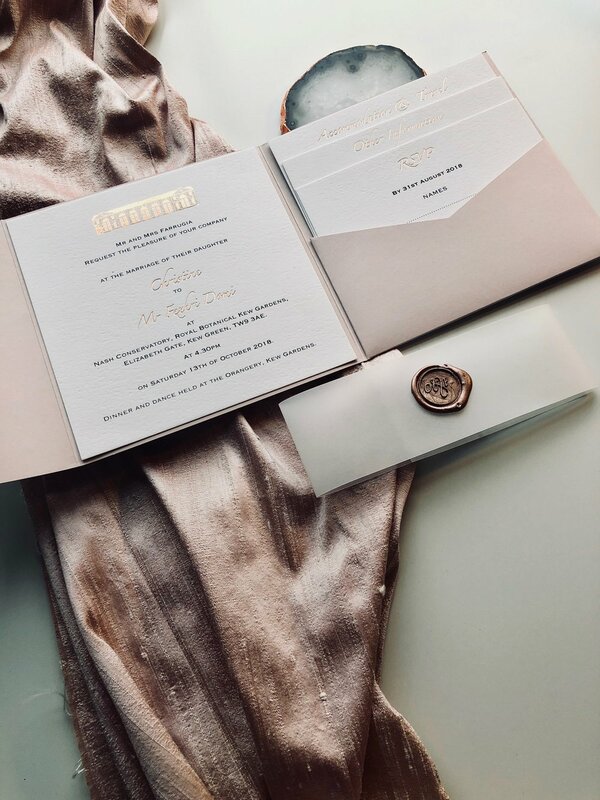 They decided to go for the pocketfold invitation; this is a classic style and is great for containing lots of information in a beautiful, succinct way. The couple were having their reception in the grand Orangery in Kew Gardens, so they wanted this to be a feature on the invitations. 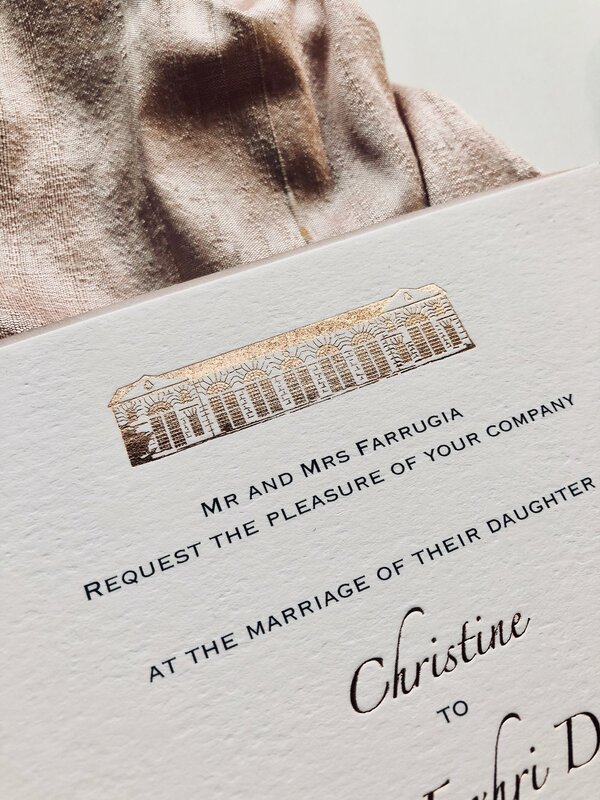 I hand drew this magnificent building in pencil, scanned it in at a high resolution, converted it into a plate for foiling and then hand printed it in the rose gold- as you will see at the top of the invitation. 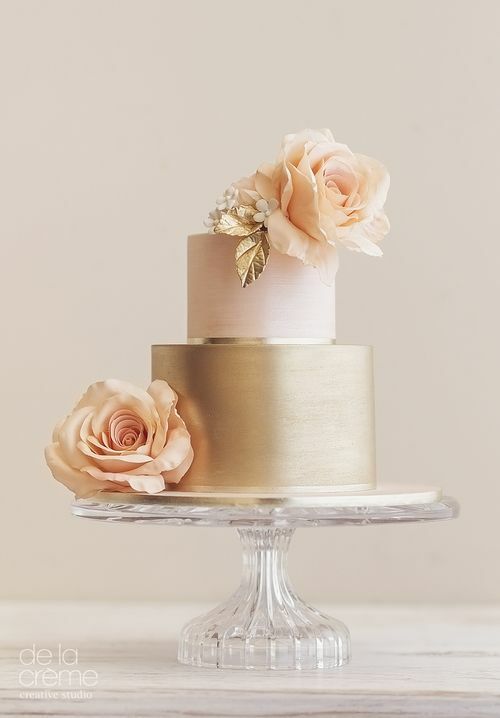 The couples names and all the titles are also printed in the rose gold foil. 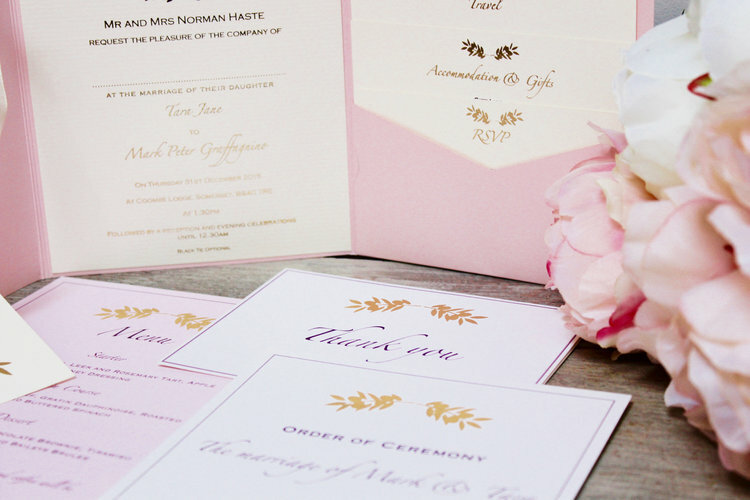 They were printed on a textured, ivory card which only enhances that elegant feel to them. The beauty about these colours and theme, is that it will never go "out"; it's classic, yet you can make it as modern as you like. 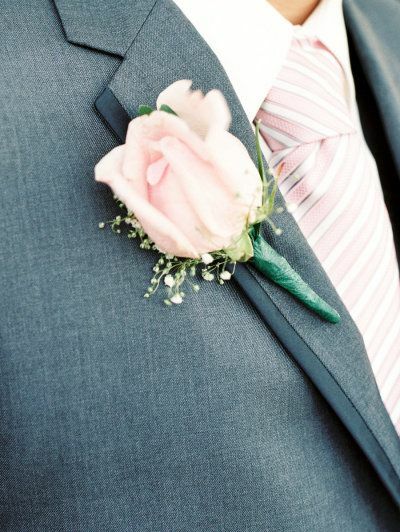 You won't look back on your Wedding Day in years to come and think, "God! What was I thinking!" 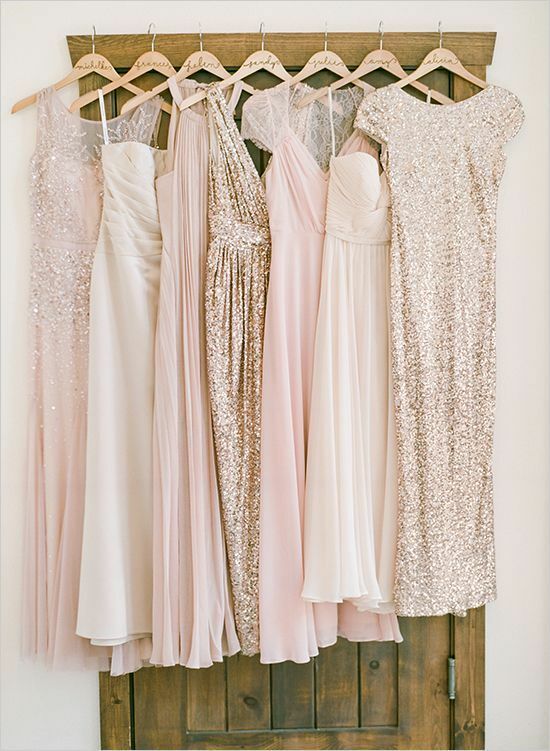 And here at Retro Press, I have done many different styles of wedding stationery packages over the years to match the blush pinks & golds... and I have loved working on every single one. Each and every invitation I work on has it's own individual style and uniqueness to the couple in hand. 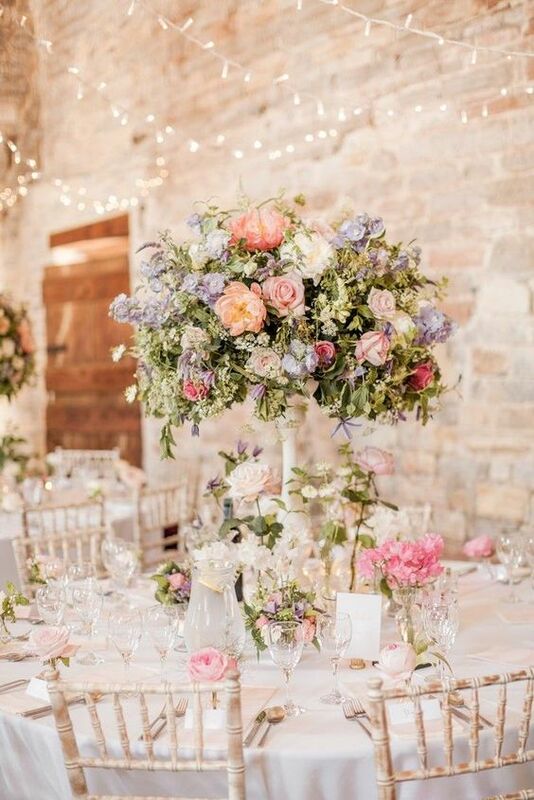 It's important to reflect your Wedding in the Invitations you send out to your guests- from start to finish, you need your Wedding to stand out, make an impression and be personalised to you. Please have a look at a snippet of some of the stationery I have created in the past that relate to this luxurious theme. 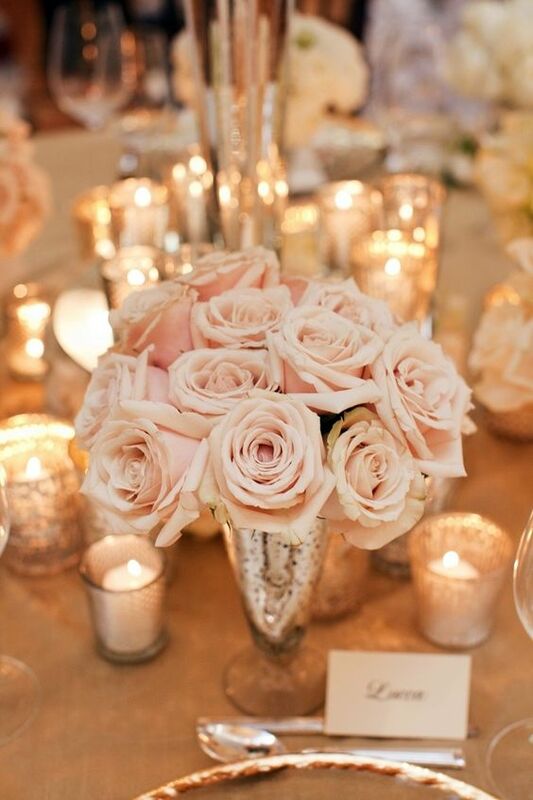 Don't hesitate to get in touch with your wonderful wedding ideas!